â€œOne important issue that has restrained sales and starts is inventory. On an absolute basis, inventory has not expanded as much as in past recoveries, leading to less selection for buyers. This is especially true for existing home sales but is evident for new home construction as well. When it comes to U.S. housing inventory, more is better." It could be the perfect time for you to get in on the action-Spring market is in full swing now-don't wait too long! It's All About the Journey ... Finishing off - In the Basement! Finishing a basement can bring you a double bonus. It provides additional living space for a fraction of the cost of an addition to the house - the walls are already there, electrical and plumbing lines are easily accessible, and no additional foundation supports are necessary to start construction. Also, a well-finished basement can add value to your house when you go to sell it â€“ just donâ€™t expect to get back all the money that went into it. The average basement remodel recoups about 69% of the original cost, according to the â€œ2015 Remodeling Impact Reportâ€ from the National Association of Realtors. As with most remodeling projects, rarely does anyone get a 100% return on their investment. Improvements should be done to both enhance your lifestyle and to increase your homesâ€™ selling potential. Finished basements are particularly conducive for use as media rooms, music rooms, a home office or a recreation room. In all of these spaces, separation from the main living areas can be a plus! It would be great to convert unused space to additional living space, but does your basement meet the building code requirements for livable space? You must be in compliance with codes for ceiling height, and egress windows and/or doors. It's also time to check with your local municipality to see if you'll be required to get any permits. This is particularly important if you're planning plumbing, heating and electrical work, which most likely will need to be inspected. Check for any water issues in your basement before beginning the planning process. Obvious signs are pools of water or drips coming through the below-grade walls or around windows and the bilco door. Check outside to make sure the ground is graded away from your foundation. Also look for cracks in your foundation walls and repair that damage if necessary. If there is a continuing water issue, there are a number of remedies available - from sump pumps to perimeter French drainage systems. As mentioned above, ALWAYS get necessary permits and know the building codes before you start a basement renovation (even if your contractor says it might not be necessary - it will become necessary when it's time to sell). If you have concerns about ceiling height, consider installing a drywall ceiling rather than a drop ceiling. Drywall ceilings will give you a few more inches of headroom. Costs are comparable. Inserting plastic access panels into a drywall ceiling will provide easier access to valves in the pipes above. A drop or suspended ceiling offers a way to both conceal and provide access to electrical and plumbing lines via the removable tiles. These ceilings will reduce the amount of overhead space available, so keep that in mind when planning. Basement living space requires emergency escape and rescue openings. Whether it is an egress window or an egress door, it has to open to the outside and open easily without the use of keys or tools. 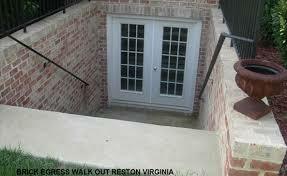 It must also follow code requirements for the height and width of basement egress windows. Even after taking care of any moisture issues, your basement can become a damp place. Check with your contractor to see if you'll need to add a vapor barrier to the walls and/or floors prior to framing and finishing off these surfaces. You may also choose an insulation that includes a vapor barrier on both sides. Adding insulation will not only help control the temperature inside your basement, it may also add another layer of moisture control. Other options include a spray foam insulation. 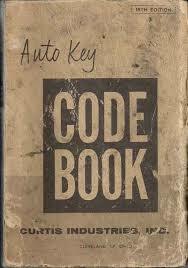 Be sure to check code requirements for this type. Recessed lighting in a basement is a good option because it doesnâ€™t take up valuable overhead space that a light fixture would. Itâ€™s also easy to install if you decide to opt for a drop ceiling. Any space housing an HVAC (heating, ventilation, air conditioning) unit or units and water heaters need to remain clear, open, unfinished and ventilated. These spaces have specific code requirements for spacing and framing, plus you'll need access for inspection and/or repairs. A finished basement can be terrific â€œfound spaceâ€ but before you start daydreaming about all itsâ€™ potential, make sure your basement is a good candidate for renovation - if not, thereâ€™s nothing wrong with extra storage! It's All About the Journey ... A Bedroom or A Spare Room for Spare Time? One of the first thing buyersâ€™ mention when purchasing a home is the number of bedrooms and bathrooms they want. No matter what the preference, when considering auxilliary bedrooms, certain things remain constant. Buyers usually hope to find bedrooms that will fit a double bed, dresser, possibly a desk and as much storage space as possible! If your bedrooms satisfy those requirements, that's great...but what if your current living situation doesn't require one of the bedrooms to be used on a daily basis? Without changing structural elements, you could use that square footage to pursue personal interests or activities. Here are some easy ideas to turn that spare bedroom into a space you can enjoy until youâ€™re ready to sell. A big flat screen TV, a comfortable couch and a nice stereo system can be just the beginning of a place to get comfortable and read or watch a movie. It can become a private space that allows you to get the television out of the living room and turns that space into a conversation and entertaining room. If you've collected too many books over the years and have no place to put them, a library can be a good use for a spare bedroom. It can also be used as a designated "quiet room" to meditate and relax in. One of the most popular uses for a spare bedroom is a home office. Adding lights, furniture and desks can convert the space into a practical home office with privacy. Make sure you have a reliable internet or WiFi connection. No excuses! Itâ€™s right next door. Your workout routine can be personalized with any equipment you prefer. Medicine balls, treadmills, weights, or video workout routines can all be accomplished in the square footage of a spare bedroom. Another variation on the home gym could be turning a spare room into a yoga studio and save money by not going to someone else's studio. Find a large mirror, bring in a fan, your favorite yoga mat and you're ready to go. If you want to take your home studio to the next level, add hardwood flooring, a small TV to follow along with yoga instruction videos, and a radio. Whether you're knitting, painting, working on a stamp collection or want more room to work on your favorite hobby, a spare bedroom can easily be converted into a craft room. Itâ€™s always great to have a dual purpose room. A daybed or sleep sofa will easily accommodate the occasional overnight guest. When you donâ€™t have guests, it becomes a room to get away from it all and curl up with a good book or watch a TV show your significant other wants no part of! Setting up a spare bedroom as a lounge or study area eliminates overcrowding when both these spaces are allocated to individual bedrooms. 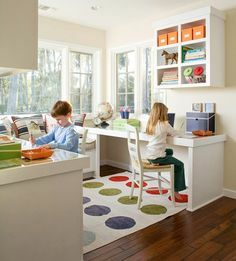 The rooms are also dedicated for specific purposes making clean-up and organization a lot easier. If youâ€™ve ever wanted space in your home thatâ€™s devoted to music, turning a spare bedroom into a music room is a good idea. It can serve as an individualâ€™s private space to spend time practicing or enjoying their own personal musical interests. A spare bedroom doesnâ€™t need to become a warehouse of stuff you donâ€™t know where else to put. The good news is you donâ€™t need a mansion to incorporate any of these ideas. Every room can be a place to relax, rewind, and enjoy!